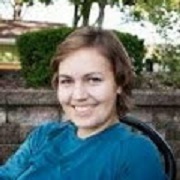 Thursday is guest post day here at Duct Tape Marketing and today’s guest is from Kelly Marsh – Enjoy! 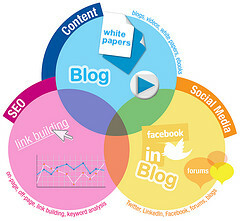 Inbound marketing has become a popular strategy for a number of things including for being the best startup PR strategy. It has been often helped businesses exponentially with bringing in customers along with building up its brands like a pioneer in the space. Inbound marketing has really helped online entrepreneurs in their business promotions along with having a tangible public relationship strategy. Inbound marketing shouldn’t be looked at as a smorgasbord; rather you have the option of comparing the same complete and balance meal with different courses- main course, appetizer, dessert, side dishes, and also the leftovers. Unlike any other marketing strategy, inbound marketing should be a coordinated endeavor. In nutshell, inbound marketing needs focus. In today’s high-end world, staying focused and concentrated on any task could be a big challenge. Let’s take a look at the ultimate tutorial for adding inbound marketing as your startup PR strategy. A blog can be called one of the best inbound marketing strategies, which can help make your PR strong and in the long run, can help in building up your thought leadership. This inbound strategy can benefit you in many ways, which include giving you the opportunity to post fresh, new content along with optimizing relevant and targeted keywords pertaining to your niche area. You get the opportunity to leverage the best in terms of search engine optimization, however, this doesn’t mean in blogging you only write for search engines; the customer comes first. This helps in rendering the value along with things like social sharing and additional resources. The platform of social networking is not just a way to interact and make friends but also can be one of the best inbound marketing strategies in itself. Social networking sites have become a real new touchpoint to communicate with the existing and prospective clients. It is an excellent outlet for your business content. You will be able to build up your social media strategy by simply identifying the most appropriate social networking site. Also, by merely having a social media profile on different sites does not mean that you have the same leverage for your PR activities, so you need to plan for the best. In order to start increasing your social profiles make sure you link properly to targeted links within your business site. For carrying out the business to business marketing, LinkedIn is more relevant along with other sites like Google Plus, Twitter, and YouTube. For business to consumers marketing purposes, sites like Instagram, Facebook, and Pinterest are ideal sites. This is known as PPC (Pay Per Click) ads, which is a controversial strategy in the domain of inbound marketing. People often are seen debating it; some call it an important inbound marketing strategy, while others do not agree. Though you may find this strategy straddling the line, you can appropriately call it one of the best inbound marketing strategies, which can even be a robust one. PPC can be an important method, which helps in complementing your site traffic while you create organic or natural search authority via SEO enhancements. The fact of the matter is if you want to have high commercial intent searches, PPC can outrank the organic search results. More than 90 percent of word of mouth ads often occur offline. So, how it is relevant to your inbound marketing is a big question to answer. If you talk about inbound marketing strategies, you can use strategy as a conversation starter. The inbound marketing strategies can be a tactic that will help in discussing your business. Though most of these conversations are happen online, you still have the option of influencing and shaping things for your PR activities. Ideas like events, promotions, interactive tools and contests communicated via the digital channels (social media and websites) can increase the engagement and thus build up your traffic. Inbound marketing is all about talking and discussing ideas in your niche area, which you have targeted. If you are really interested in tapping inbound marketing for your startup PR activities, the above options can help you the most. Keep trying them out! Kelly Marsh is the writer of this post. She writes articles on Women’s education, Health, Social Media and Online reputation. These days she contributes on getamplify.